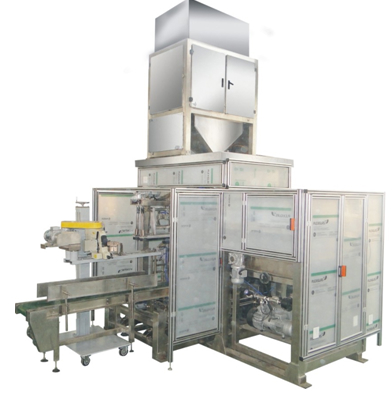 This machine was designed for powder products packaging in agricultural, foodstuff, chemical and other industries. Bag loading, bag feeding, filling, conveying, sealing, all functions are automatically controlled. It’s also compatible to other equipments achieving massive productions purpose. Application︰ This machine was designed for powder products packaging in agricultural, foodstuff, chemical and other industries. Bag loading, bag feeding, filling, conveying, sealing, all functions are automatically controlled. It’s also compatible to other equipments achieving massive productions purpose.